Read CD’s on that Macintosh or Apple IIGS! 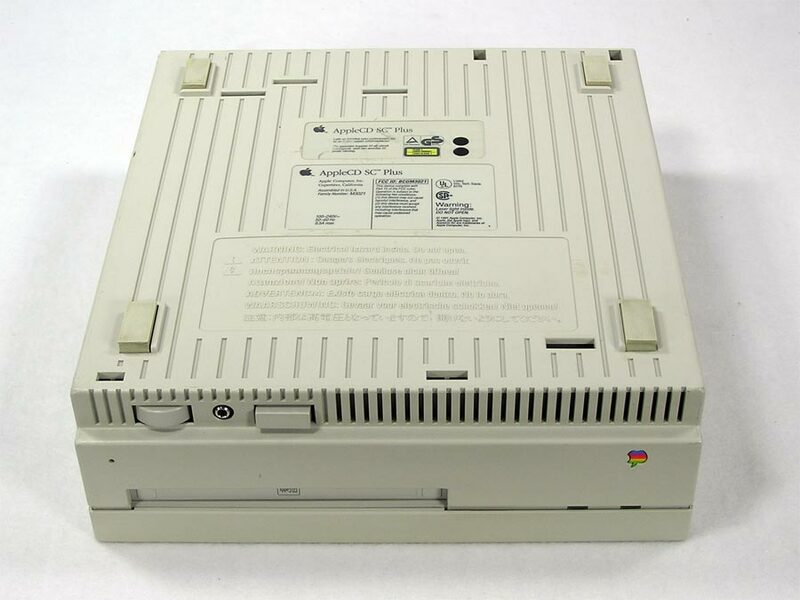 Apple’s third model, the external AppleCD 150, M3022 features a 1X CD-ROM drive. 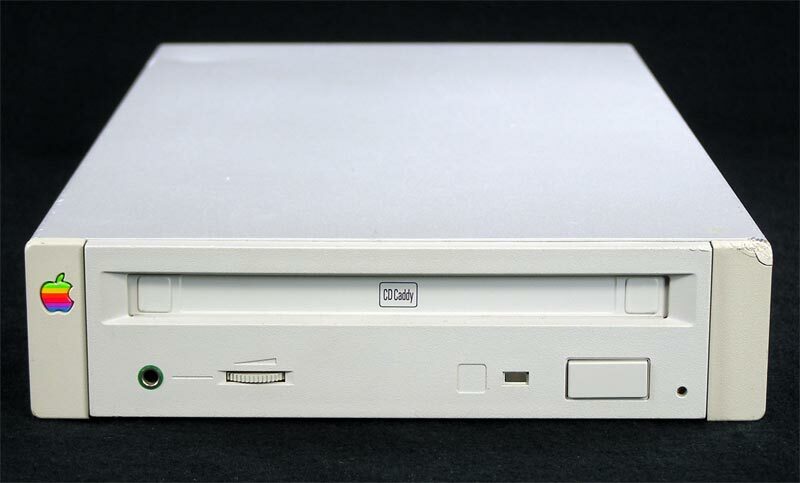 This drive uses an included Caddy for the CD’s – the CD-ROM is loaded into the caddy, then the caddy is loaded into the drive. Works on a Mac or Apple IIGS. System requirements for Macintosh: The drivers for System 7.6 and up are available from the Mac Driver Museum. It looks like there may be drivers for earlier systems there as well. At some point, they are included, no additional drivers necessary for OS 9. 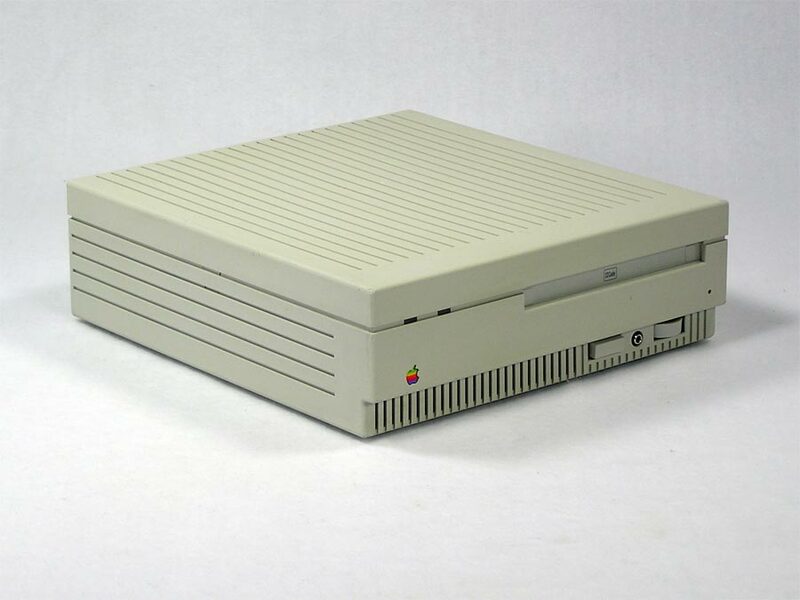 For the Apple IIGS, drivers are built into the GS/OS operating system starting in System 5. This drive is showing some trauma on the front corner and there is a small dent on top towards the back, but works perfectly. 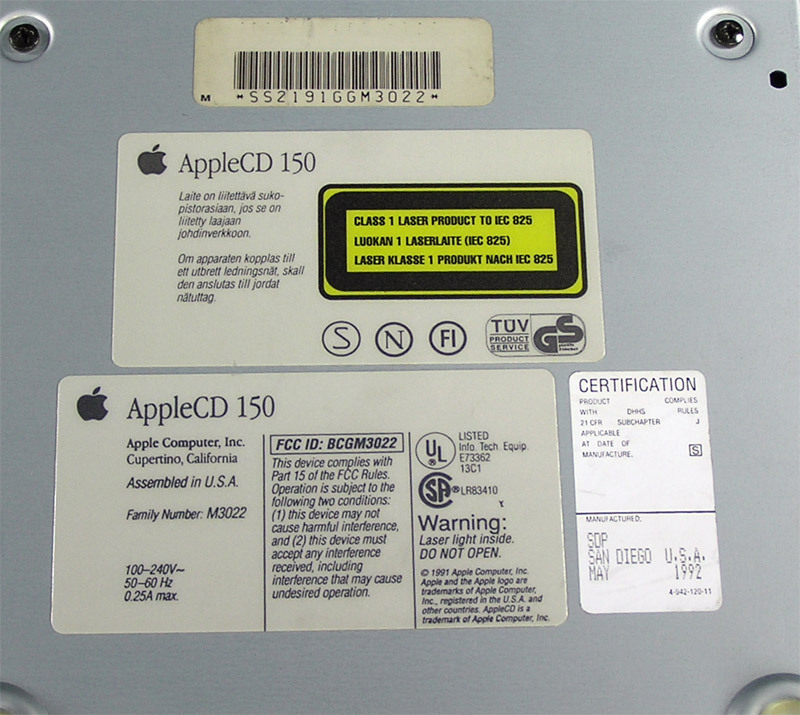 What’s included: AppleCD 150 Drive, cd caddy and power cable. Note: Power cable is only included in USA shipments. 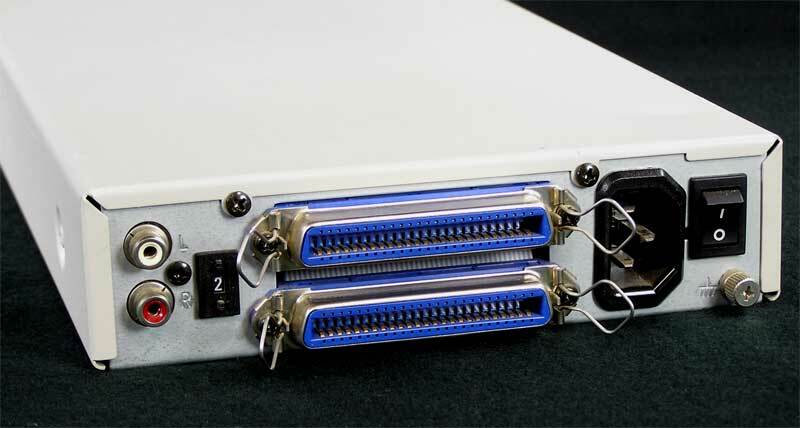 Drive is available with or without a SCSI cable and SCSI terminator. 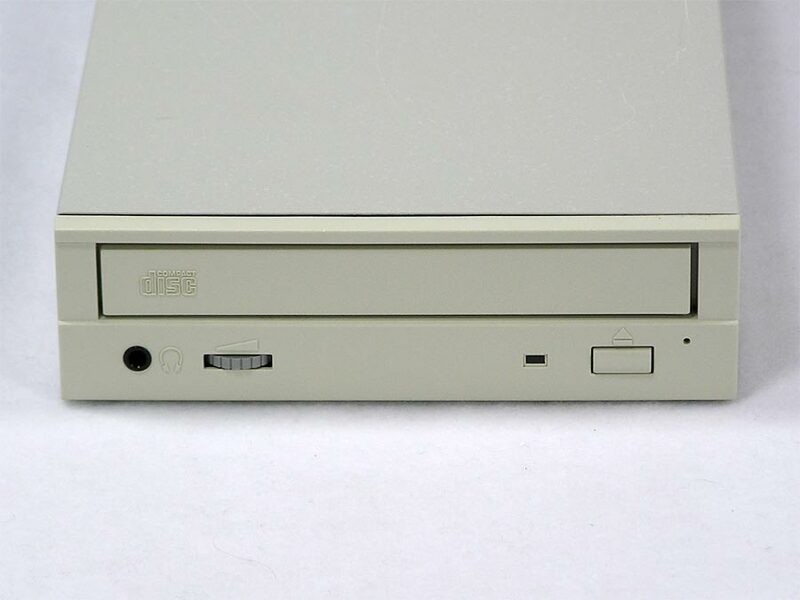 Add a CD Drive to that Early Macintosh or Apple IIGS! 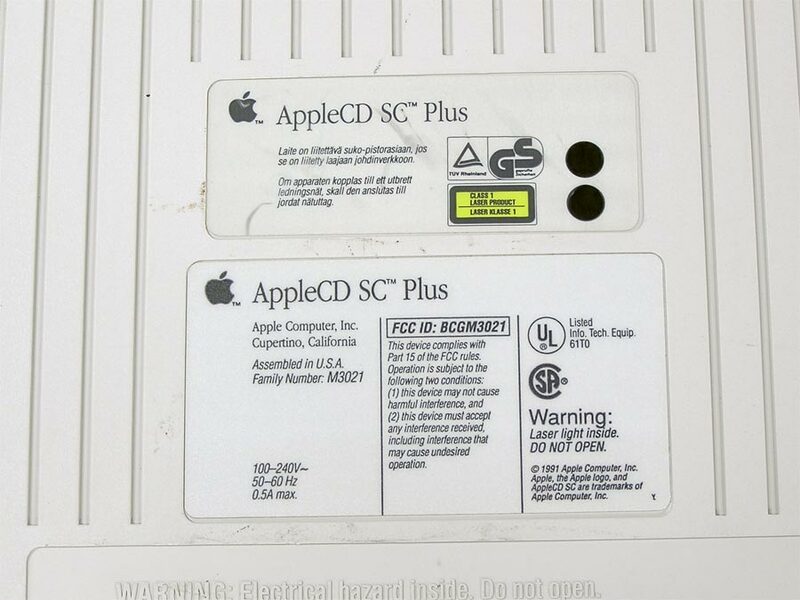 Apple’s second model, the external AppleCD SC Plus, M3021 features a 1X CD-ROM drive. 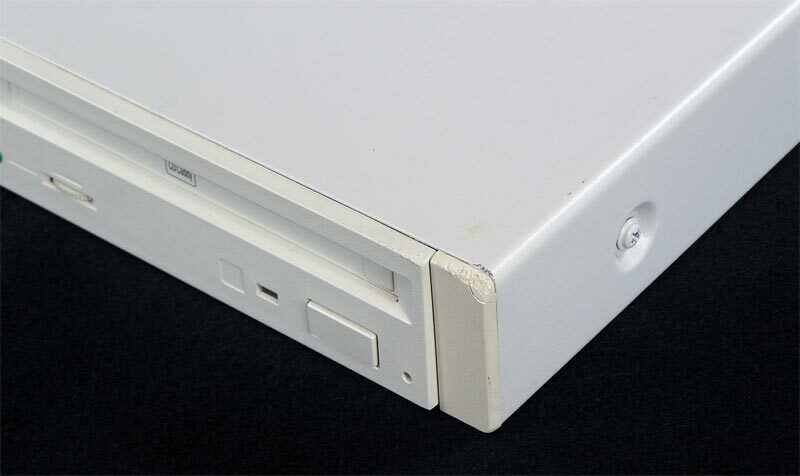 This drive uses an included Caddy for the CD’s – the CD-ROM is loaded into the caddy, then the caddy is loaded into the drive. Works on a Mac or Apple IIGS. System requirements for Macintosh: The drivers for System 7.6 and up are available from the Mac Driver Museum. It looks like there may be drivers for earlier systems there as well. At some point, they are included, no additional drivers necessary for OS 9 (tested on OS 9.1). 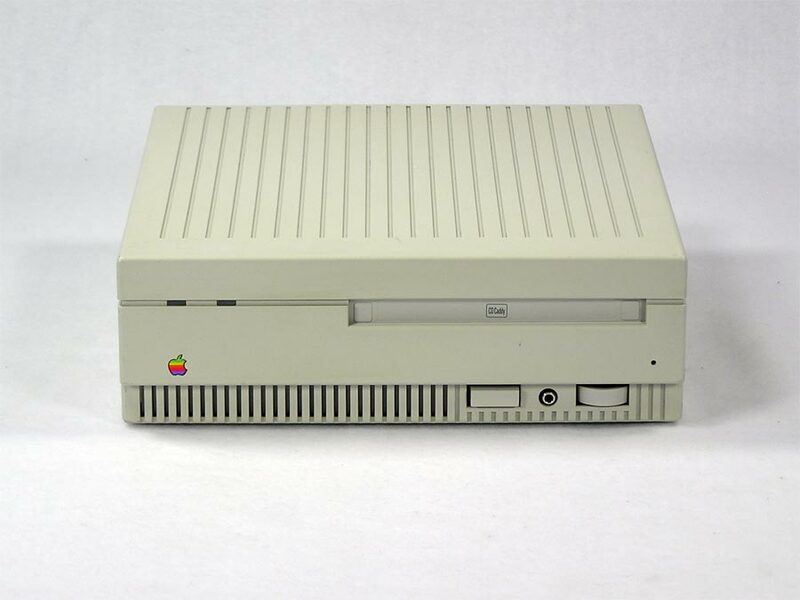 For the Apple IIGS, drivers are built into the GS/OS operating system starting in System 5. This drive shows no discoloration. It does have deep engraving on one side. One of the tabs for the top of the case is broken. 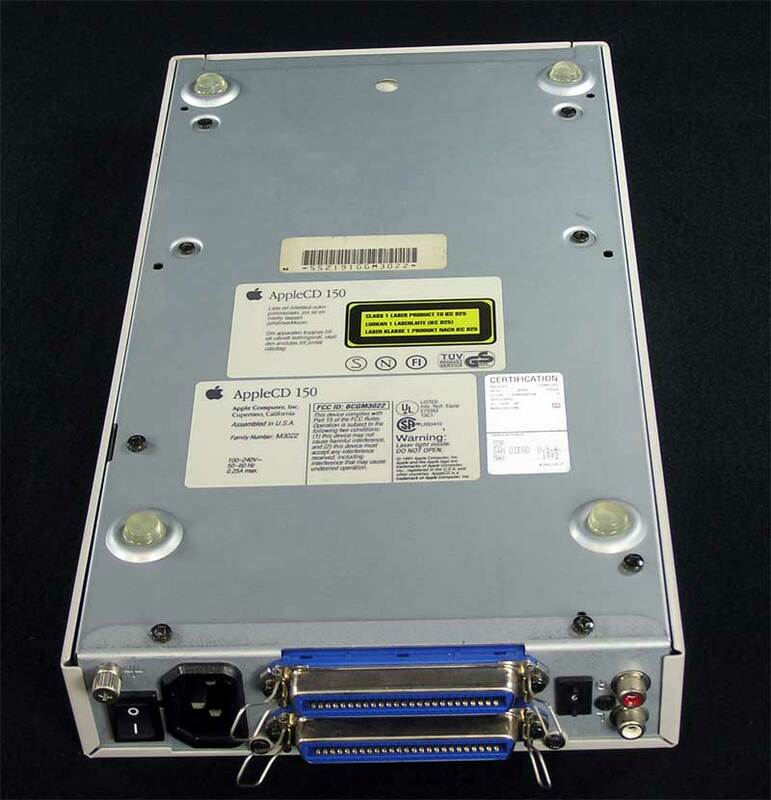 What’s included: AppleCD SC Drive, cd caddy and power cable. Pioneer DR-U124X, Toshiba XM-5401and NEC CDR-210 are among the current choices, all are tray load. 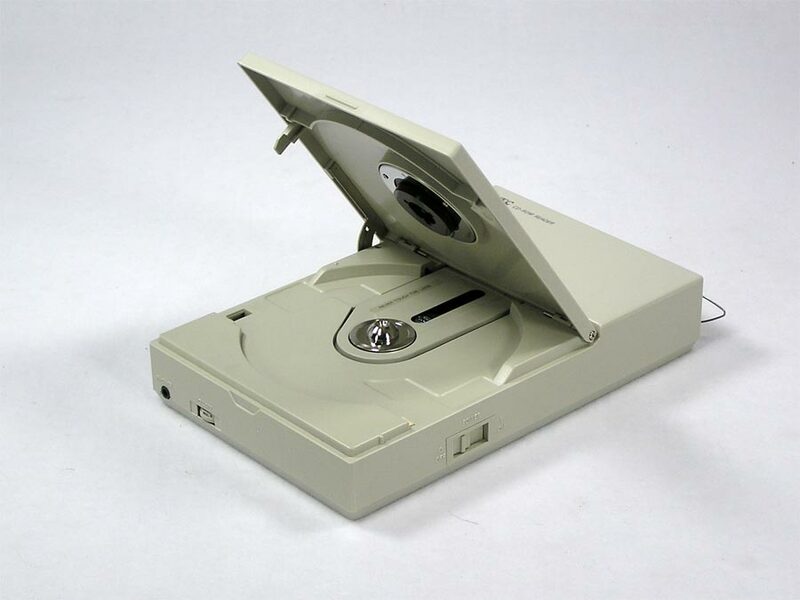 One of the most common CD-ROM enclosures of the ’90’s, they were used by many manufacturers. 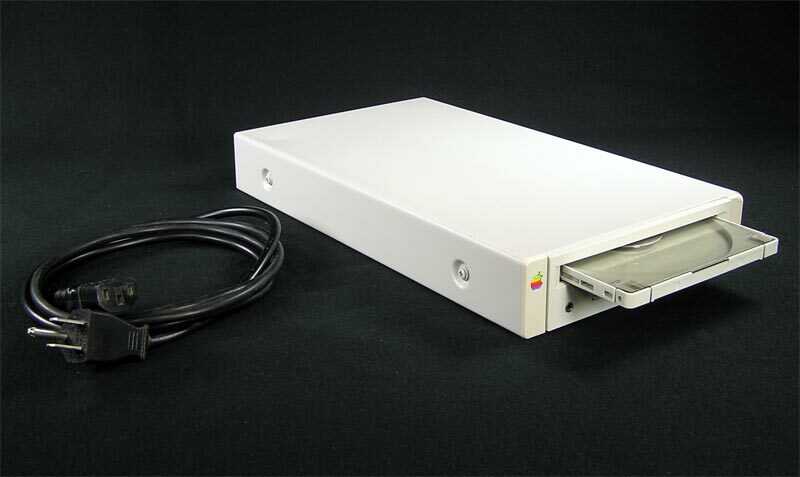 Slightly smaller than the Apple cases, at approximately 12″ x 6″ x 2″, they all feature two Centronics 50 SCSI ports, Audio ports, selectable SCSI ID, power switch. No cables included. Uses a standard computer power cable (free by request). 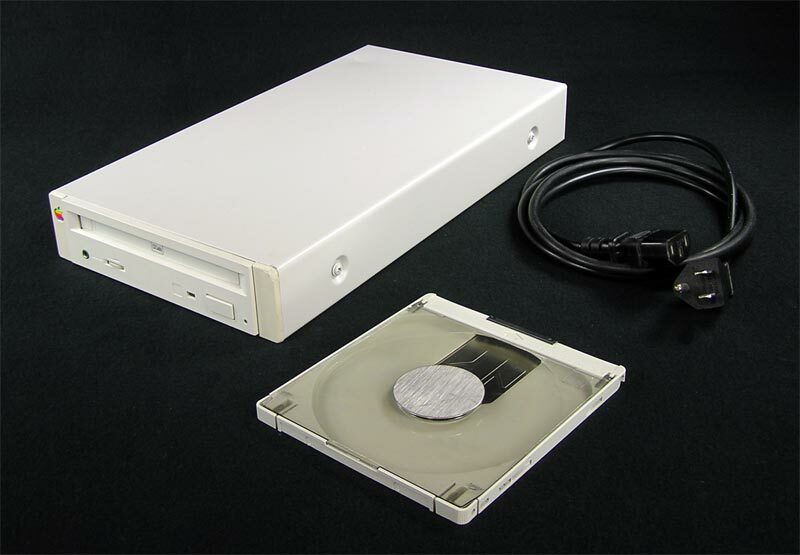 Also available as an enclosure only, put your own CD, Zip or hard drive into it. 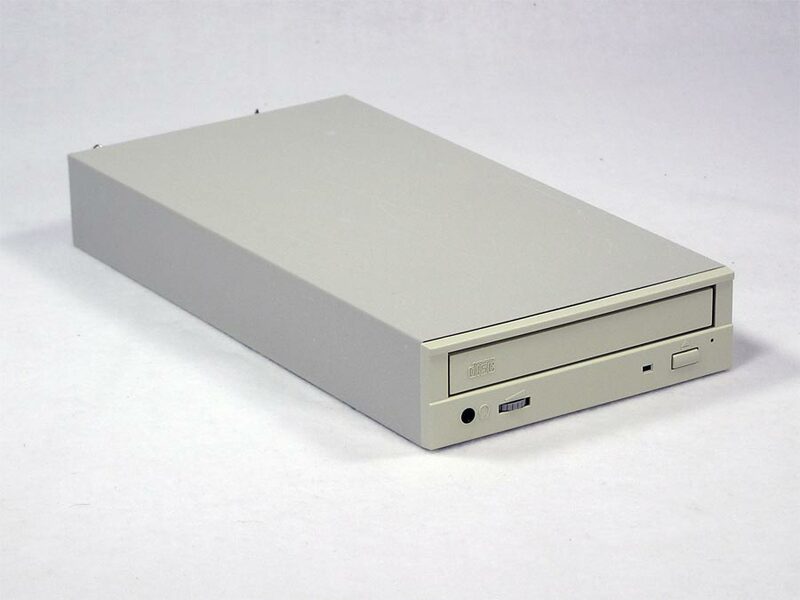 Some drives in this group, such as the NEC CDR-210 are supposed to work on an Apple IIGS. Please do your own research. Drives are in good condition and one is still new. Toast was able to see them in OS 9.2.1, but was unable to successfully burn to any of them. Not sure if that is a driver issue. As I am unable to actually test the Yamaha drives, these are being sold for the external SCSI enclosure only. No cables included. 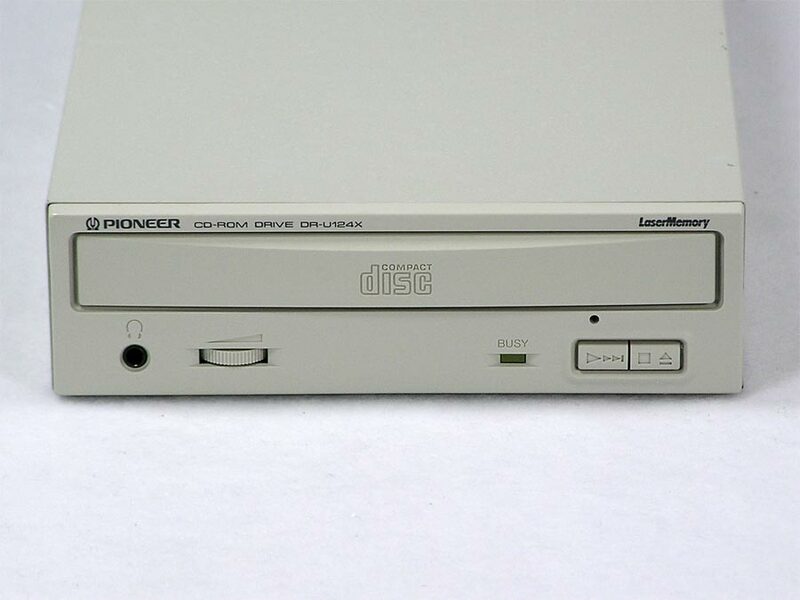 NEC Intersect CD-ROM Reader, Model CDR-37. 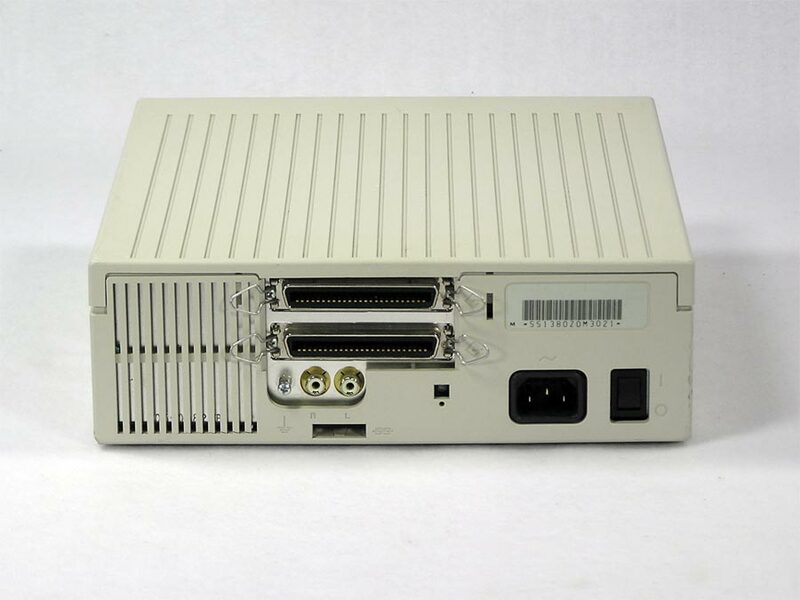 This external SCSI CD drive has a flip up lid, one Centronics 50 SCSI port, and dip switch selectable SCSI ID. Includes the power adapter. Looks and works great! 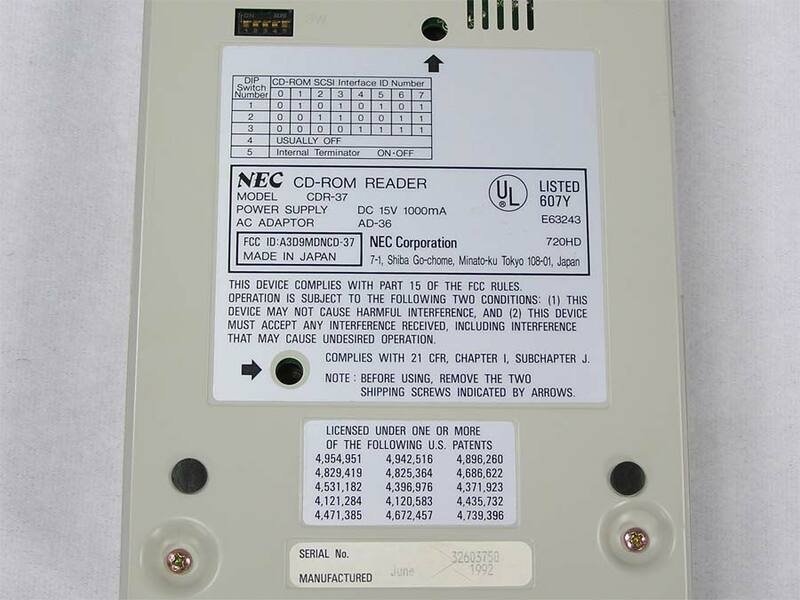 NEC Intersect External CD-ROM Reader User’s Manual for Model CDR-73. 18 page manual in good condition. 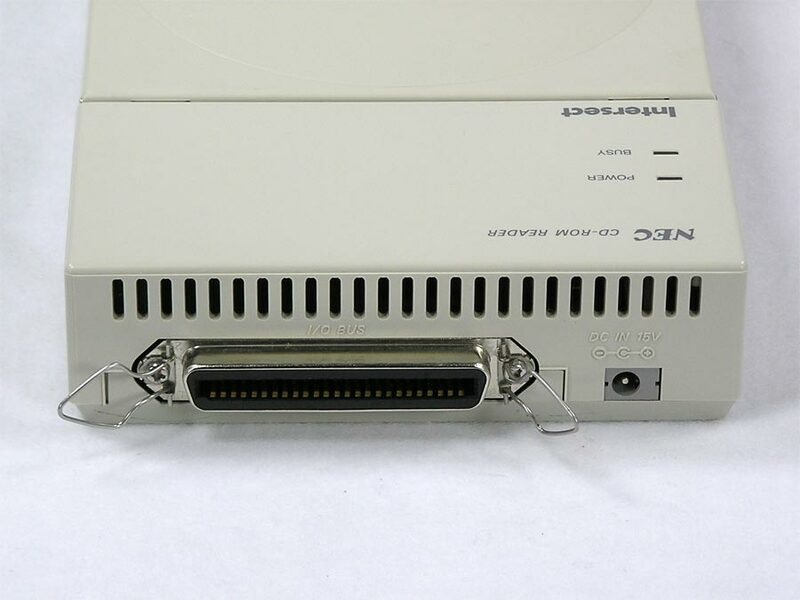 NEC Multispin 8X CD-ROM Reader, Model CDR-3460A. 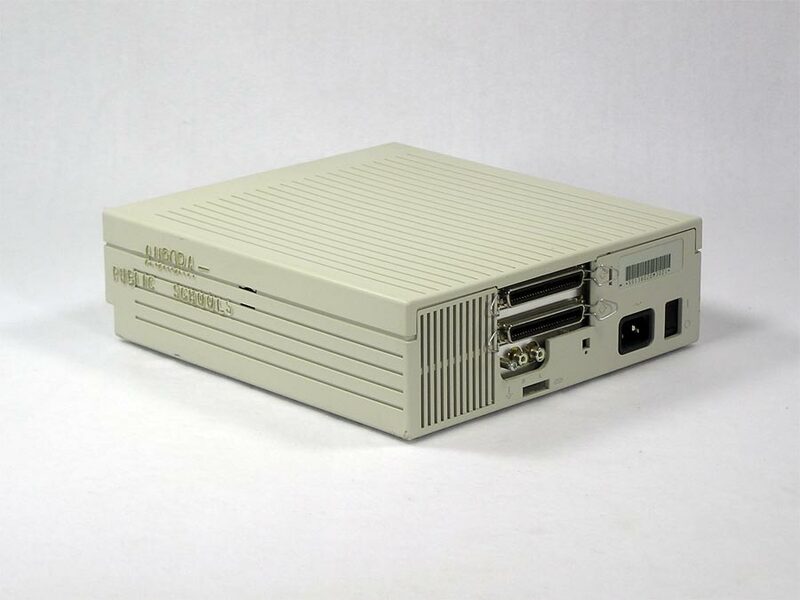 This tray load, external CD drive features a SCSI-2, HD-50 interface with external switch selectable termination. 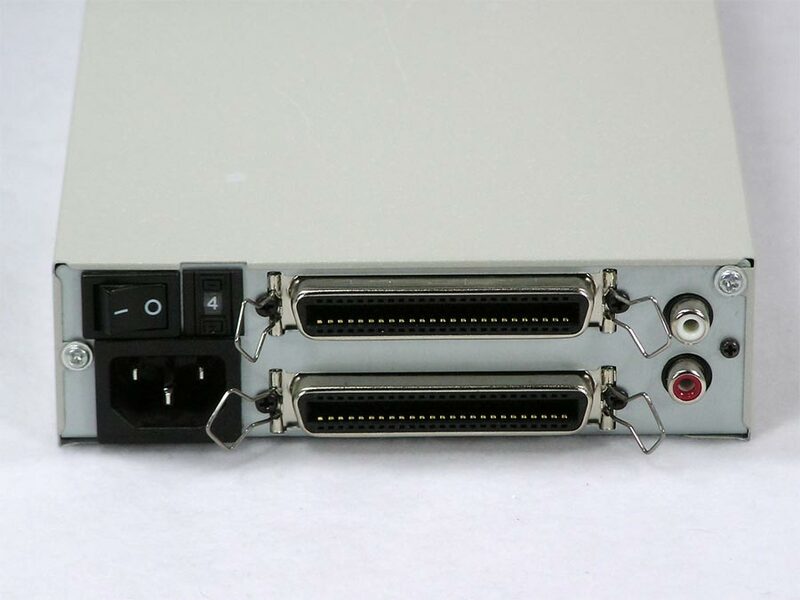 MPC3 compliant for improved sound and video multimedia performance. 1200 KB/sec (8X) data transfer and 140 ms access time. 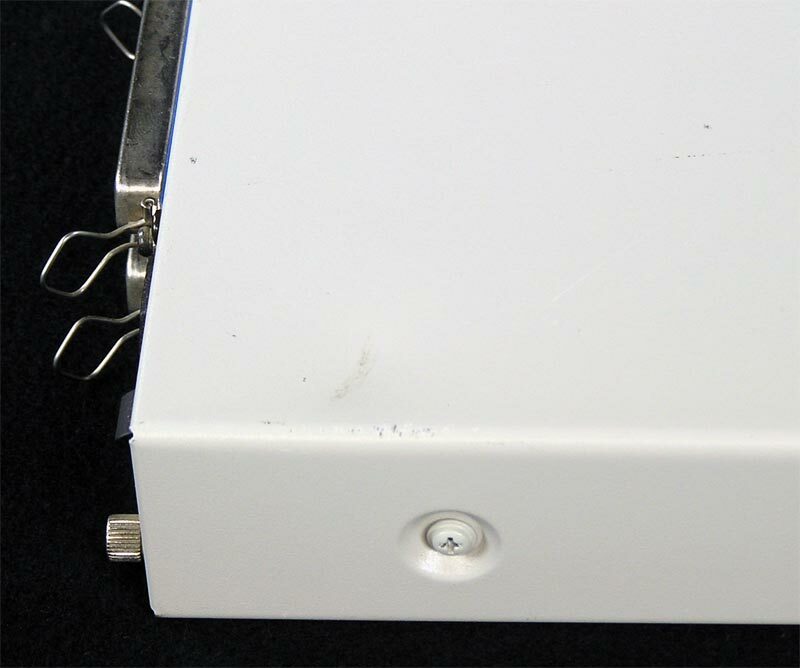 Case shows a little discoloration on the front of the top. Works great. No cables included. Some drivers are available here for Mac, DOS and Windows. Mac OS uses the speedycd.hqx NEC Multispin Driver. Supports Mac OS 6.0.8 to 7.5.3. 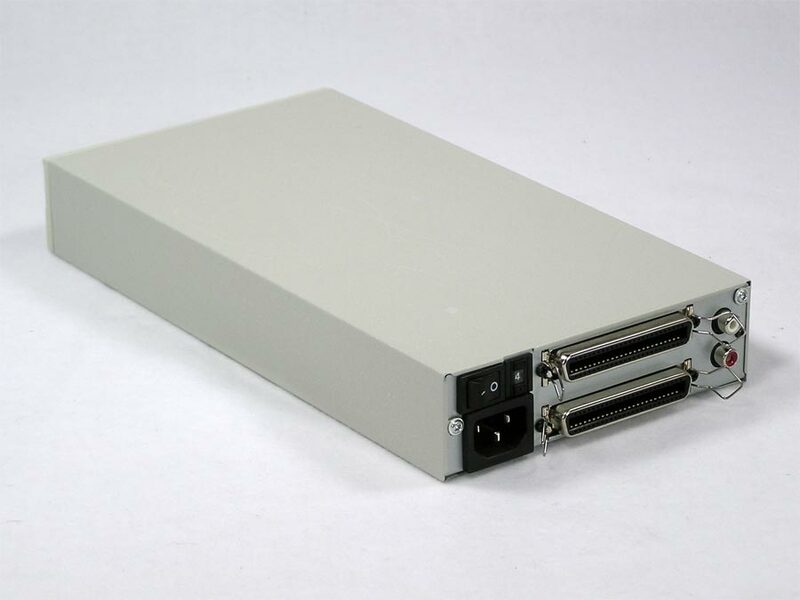 This Teac CD-R55S CD-Recordable drive has 4X write and 12X read capability. 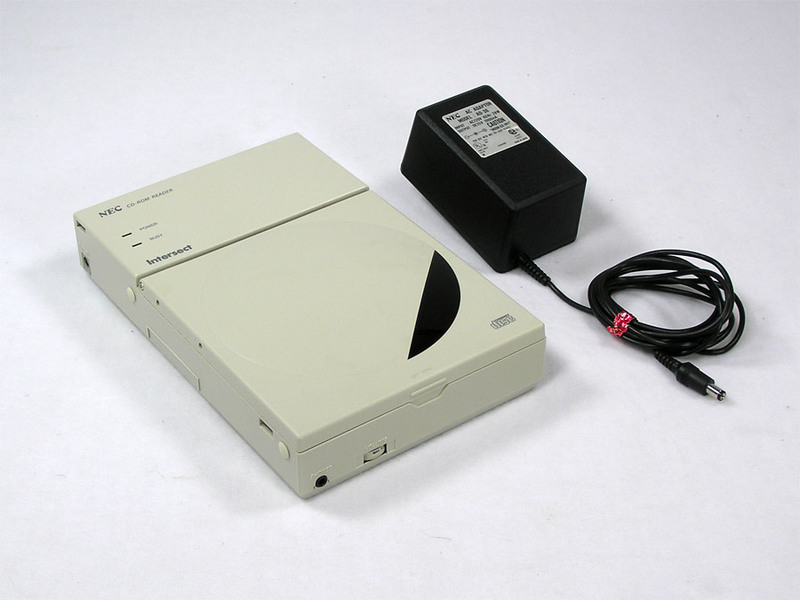 This SCSI CD burner or CD-RW resides in an external Pinnacle Micro Recordable CD enclosure. SCSI ID and termination are switch selectable. Burns great. 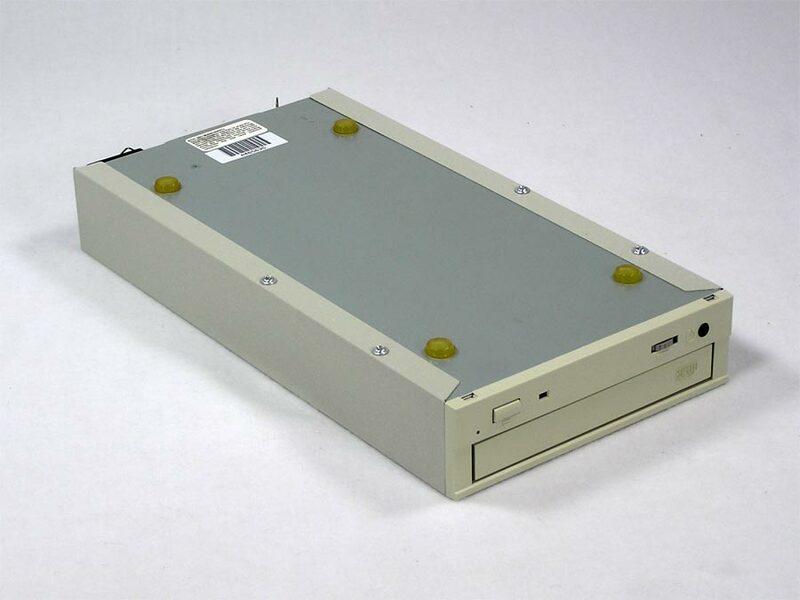 Mac OS 9.1 wouldn’t mount the drive on the desktop, so may be a driver issue. Firmware has been updated. Case has a couple of cracks on the left side towards the front.